My name is Kenshae, I am multi- skilled and I know you may want more details, but best skilled at creative writing, problem solving, and research. 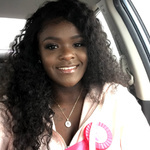 My experience is through school...Read moreMy name is Kenshae, I am multi- skilled and I know you may want more details, but best skilled at creative writing, problem solving, and research. My experience is through school my whole life. I have took college level writing courses. Do you need some one that is reliable? I am perfect for you. If I am unable to do the job which would be hardly ever, I would decline the offer. I am willing to learn and get the instructions first before declining. Writing is my passion my mission is to satisfy every client and build clientele. My website is coming soon. This will be my career because it is what I love.